Tethys imaged by Cassini on May 9, 2015. Here’s a beautiful view of Saturn’s moon Tethys (pronounced TEE-this) captured by the Cassini spacecraft’s narrow-angle camera on May 9, 2015. The moon’s 250-mile Odysseus crater can be seen along the right limb there, illuminated by sunlight, while the left side is lit by the dimmer reflected light from Saturn. 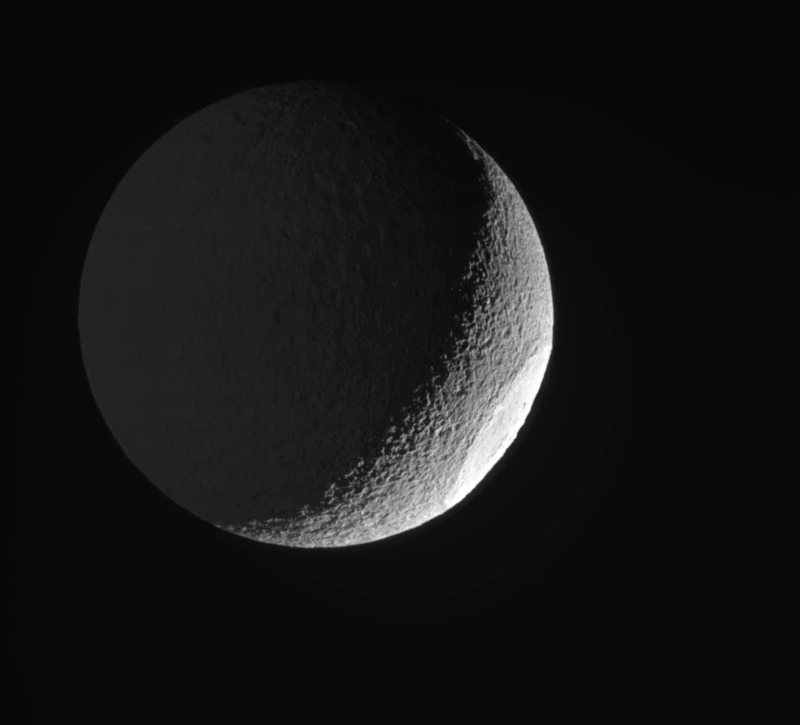 Tethys itself is 662 miles (1,065 km) in diameter and composed mostly of water ice and rock. Along with its bigger sisters Dione and Rhea it is one of the most heavily-cratered worlds in the Solar System. 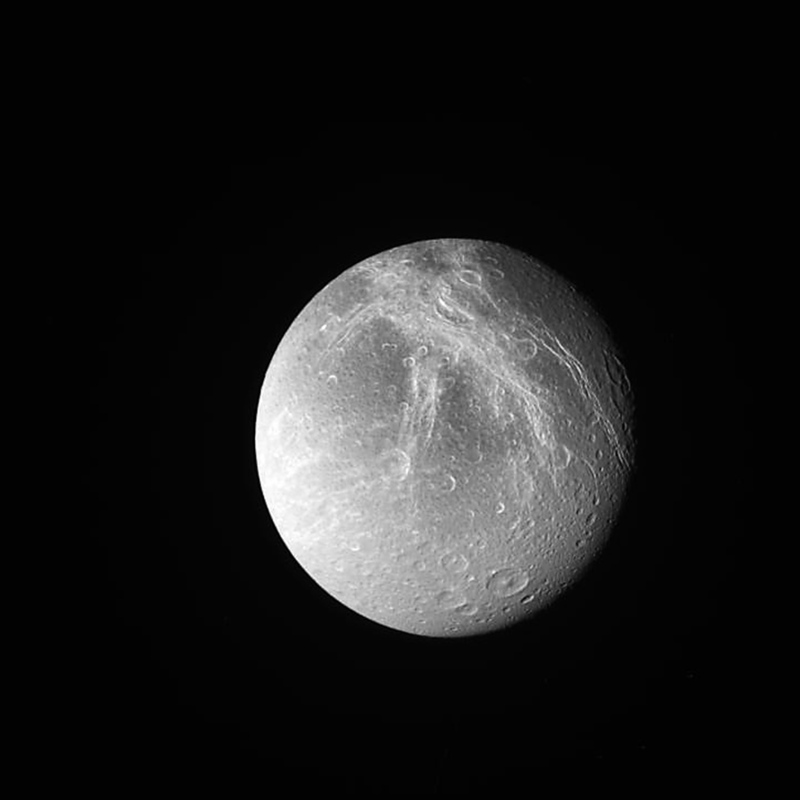 Cassini also captured images of Dione and its signature icy “wispy lines” on the same day. Check one of those out below. I cleaned up the images a bit for specks and noise and sharpened surface details. See the original raw images here and here. Credit: NASA/JPL-Caltech/SSI. Edited by Jason Major. Next Post Just Your Typical Everyday View of a Mountain on Another Planet. NBD.